It was by accident that I stumbled upon Bealls Florida. If I hadn't been digging for the perfect accents to compliment a recently renovated room I may of never discovered this one-stop-shopping retail outlet store, and that would of been tragic. Bealls Florida, Who are they? 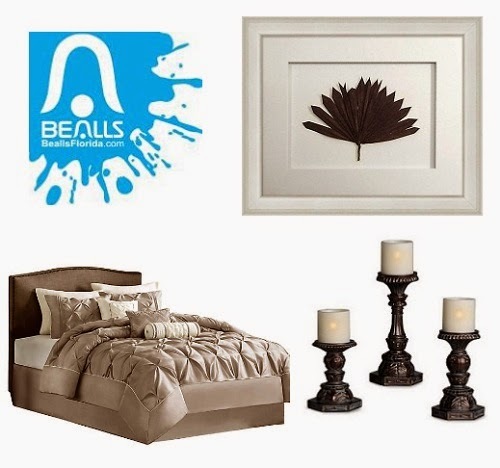 Bealls Florida is part of Bealls Inc. which consist of retail outlet stores across the nation. They recently turned the ripe old age of one hundred so it's evident their doing something right. Bealls Florida offers everything you want in an outlet store and then some. 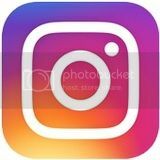 As the name suggest, you can find beach themed items, but you can also find much more, so Bealls Florida is not limited to Floridians or those living in warmer tempetures. 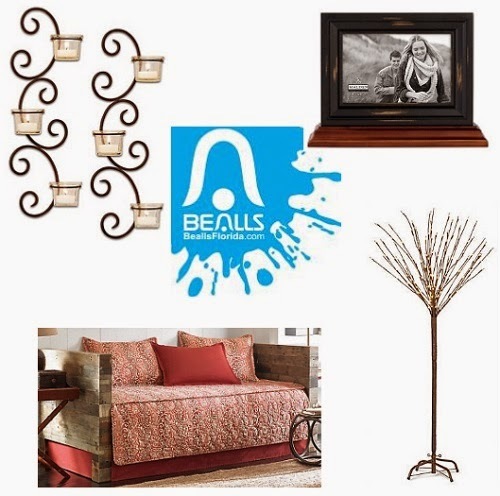 Even those of us suffering through a dreadful winter can certainly benefit from the competitively priced vast selection of apparel, home decor, gifts, kitchen gadgets, et cetera found at Bealls. I love these fuax fur throws. My mom bought me one at Big Lots for $19, however, it's not nearly as plush as the double sided, warm throw pictured above. There's actually quite a dichotomy in quality. Sorry mom. This one is much nicer, which makes it a better gift choice. The throw is available in for different shades. 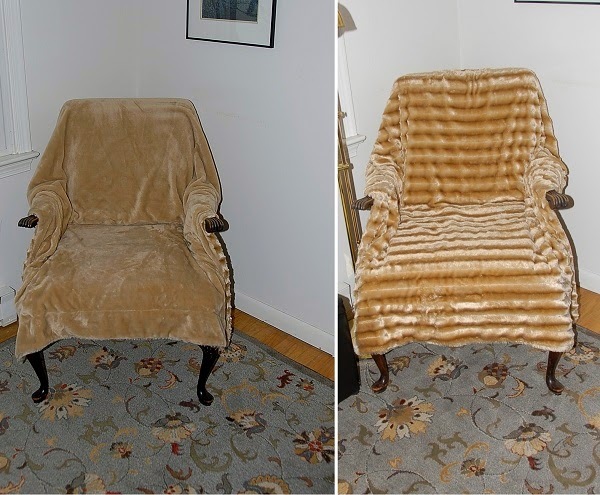 I chose the Peal Beige and it's performing double duty as a cover for an old chair as well as a warm snugly blanket. I love the warm terra cotta hue in the Tommy Bahama Prince of Paisley Daybed Set. Add some candle wall sconces along with the Style & Home 5.5' Foot LED Branch Tree to create a cozy space that can be enjoyed all year long. The rich taupe Madison Park Laurel Comforter Set is discounted a full forty percent. Add wall art wall art and the Elements Resin Candlestand Set to create an inviting sleeping oasis. 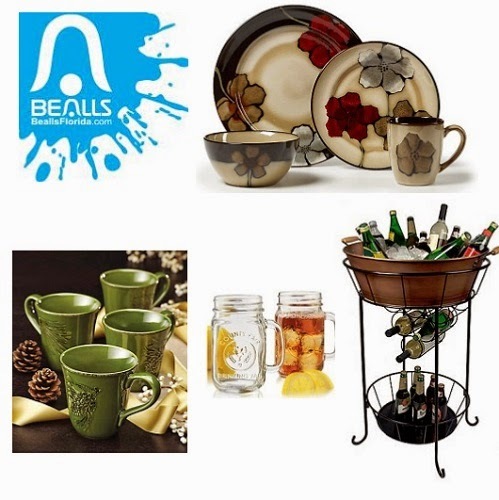 Enjoy Bealls Discounted prices on kitchenware. They offer a vast selection of top name brands and offer a verity of household items, which makes it ideal for convenient one-stop shopping. 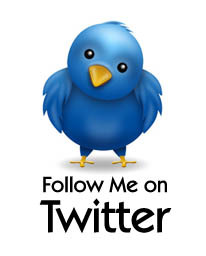 Bealls Florida offers a Deals page which includes additional coupons, rebates, free shipping codes and more. This means even more savings off of already reduced prices.